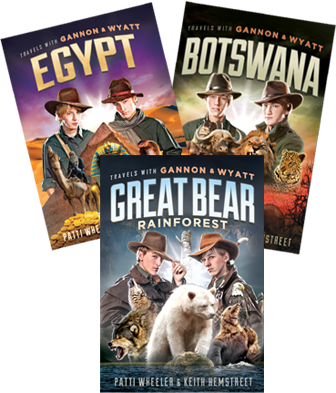 In the tradition of the historic journals kept by explorers such as Lewis and Clark, Dr. David Livingstone and Captain James Cook comes the adventure series “Travels with Gannon and Wyatt”. This exciting new middle school series, written by Patti Wheeler and Keith Hemstreet, focuses on twin brothers who go on wild adventures, and find ways to overcome all the obstacles in their way. The journals, photographs and video compiled on these expeditions provide the foundation for this action-packed educational series. 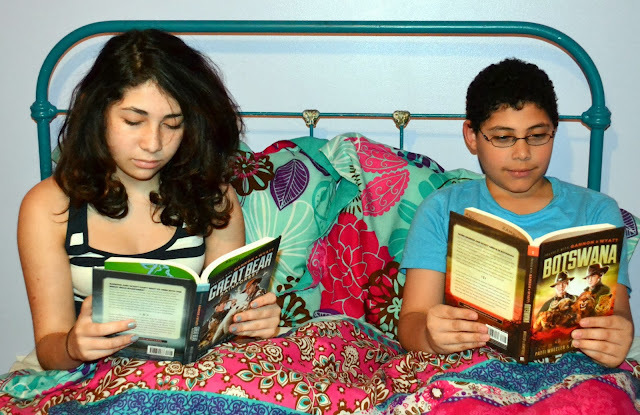 My kids are in the middle of reading the first book of the series. 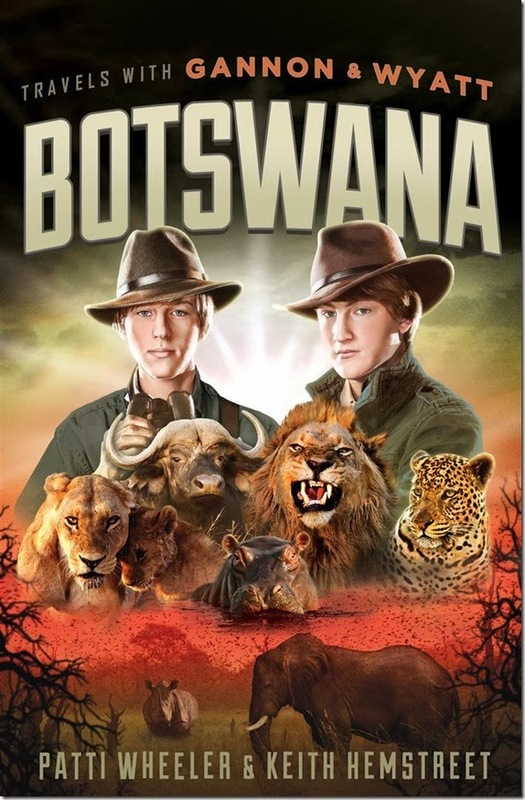 “Gannon and Wyatt Botswana” follows twin brothers Gannon and Wyatt, who arrive in Botswana for an African safari and get much more adventure than they bargained for when they set off into the wild in the hopes of saving a lioness and her cubs from a poacher. While on this journey, they encounter all of Africa’s Big Five—elephants, rhinos, Cape buffaloes, leopards and lions—only to discover that the most dangerous predator in the African bush is not the king of beasts, but man himself. 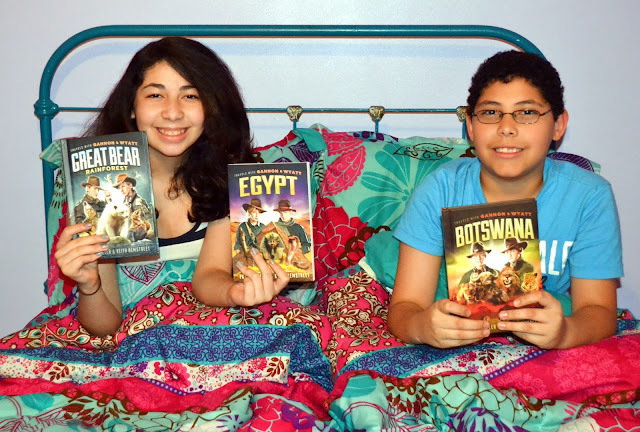 They are really digging the book mainly because it reminds them to one of their favorite movies of all times "Adventures of Indiana Jones". The book is written as a journal kept by the young adventurers and goes back and forth between the two. The book is full of interesting animal facts which elevates the book to a wonderful resource for teachers and parents who wish to teach kids about the environment and different cultures. With the books’ environmental and cultural messages, the authors clearly have high hopes for the series’s potential impact on kids. The second installment, Travels with Gannon & Wyatt: Great Bear Rainforest, the twin brothers trek into the Great Bear Rainforest in search of the mythical spirit bear, but surviving in this unforgiving wilderness proves more challenging than they could have ever imagined. When members of the expedition go missing, the brothers bravely set out on a search-and-rescue mission. Soon they find themselves lost in a forest teeming with grizzlies, wolves and mysterious gunmen. Guided by the wisdom of the First Nation people, the Gannon and Wyatt uncover a sinister plot and must risk everything to save those who are missing and restore balance to the Great Bear. In the third book "Gannon and Wyatt Egypt" after winning a prestigious fellowship from the Youth Exploration Society, Gannon and Wyatt set off on a journey to Egypt. There they study with world-renowned archeologist Dr. Mohammed Aziz, joining him on a quest to find the long lost tomb of the Pharaoh Cleopatra, rumored to hold priceless treasures and secret scrolls containing answers to some of ancient Egypt's greatest mysteries. But Gannon and Wyatt aren't the only ones interested in Cleopatra's secrets. Ruthless tomb robbers are hot on their heels, and the brothers must brave venomous snakes, deadly booby traps, and ancient curses as they find themselves on the verge of a magnificent discovery that could rewrite history. 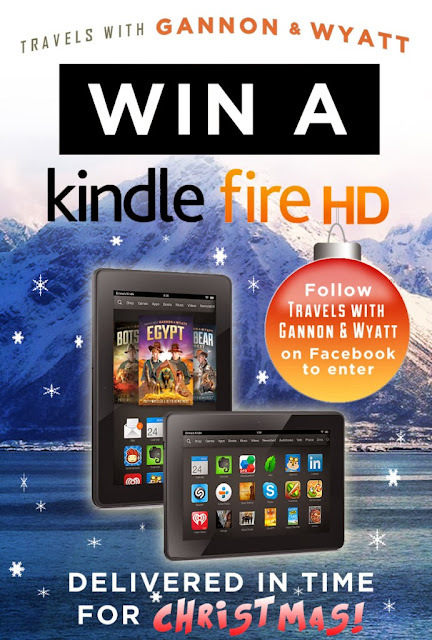 Three Kindle Fires are being given away on the Travels with Gannon and Wyatt Facebook page in November – so be sure to like them on facebook and enter that giveaway, as well! The Bluebird Patch is giving away the complete book series to one lucky reader. All you need to do is leave us a comment (MANDATORY) and register your entry in our Rafflecopter widget.